When I first moved to London, hair breakage has been a real issue to me and my hair was simply out of place! I was really frustrated that I have spent hours googling about what's the deal, so I realized the water in London is 'hard water' that has a high mineral content – especially calcium and magnesium. Although it’s not considered as harmful for your health, hard water can cause serious problems to your hair and skin. After many washing, hair becomes dry, dull, tangly. My remedy was replacing the shower head with a filtered one, started drinking filtered/bottled water religiously and stop using hair straightener as often, it helped but not a long term remedy. 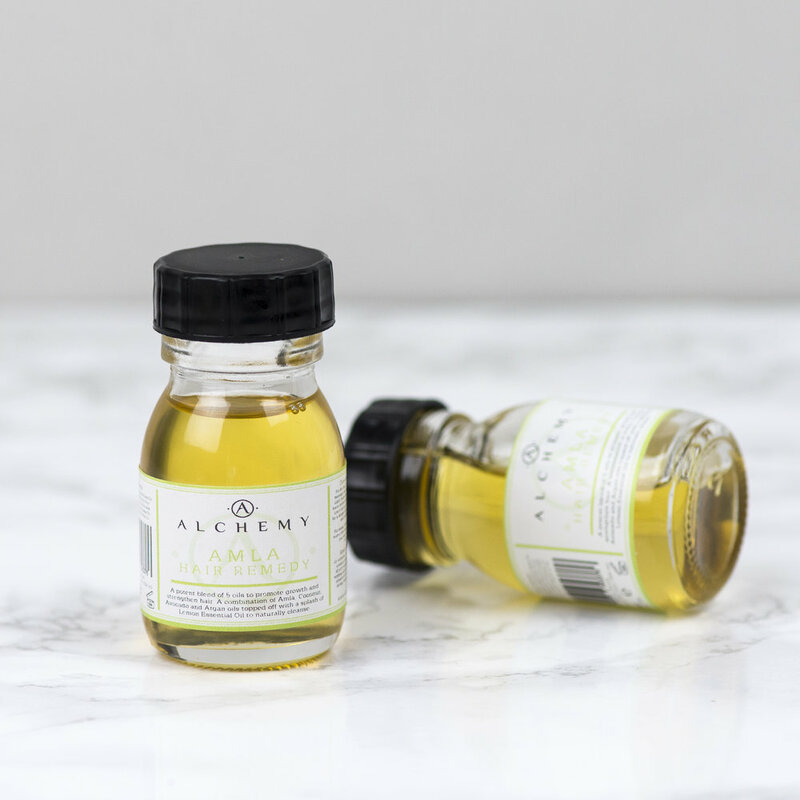 Then I came across Alchemy Oils randomly (mostly because it matches our blog name perfectly! ), heard great things about it and didn't disappoint. I waited and tried using the Grapefruit Hair Remedy for at least a month to make sure I had a thorough experience with it. I put them a wee bit at the ends every night after air-drying my hair and it definitely have invigorated my hair, I love the way it doesn't weight down the hair even though it's oil, I'm not quite sure about the hair growth stimulation part but there is definitely less hair breakage so far. I also particularly love the refreshing scent, unlike many other hair oils I used before. So final verdict, a big thumbs-up! How did it all get started with Alchemy Oils? What was the catalyst that sparked your interest to start? It was a number of things, but mainly we saw noticed a lot of hair issues that people have these days can be resolved with hair oiling, something we grew up doing. We wanted to create hair oils, not serums, that would create short term and long term results. Also, have you looked at ingredient lists? It’s insane the amount of stuff we’ll put on our hair and skin without knowing exactly what it is. We make it a point to be very clear with our ingredients. What's the philosophy for the brand? What's the must-have product we should try? Our philosophy at its most basic is self-care. I read a quote the other day that said something on the lines of ‘I like my products how I like my people: non-toxic” I love that and I think that epitomises it so well. We’re about self-care rituals combined with results you can see and feel. Products that make you feel good as well as look good. The product you should start your Alchemy journey with is no doubt our Grapefruit Hair Remedy, it was the first product we launched, the one that started everything.